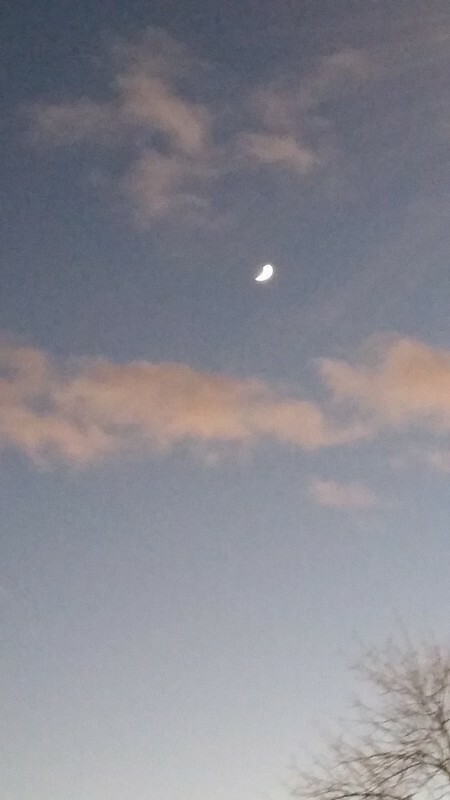 A shot of the moon in the early evening. No matter how many times I try, I still know moon shots are next to impossible with a mere smartphone camera. But I'll keep trying because I'm that person. I thought there was better chance because it was early enough in the day that I thought I might get some better light. But of course not--it still looks indecipherable. However, if you look at the line of cloud through the middle of the picture and the bursts above the moon, you have the making of a face with the moon as the nose.